In an ideal world I, like many, would like to see both Blair and Bush tried for war crimes in an international court. When former British Prime Minister Tony Blair proudly proclaimed on BBC News that he had “no regrets” about the war in Iraq 10 years on, I was so disgusted, I had to switch the television off and try to calm myself down. In these 10 years, over 600,000 civilians have been killed, a civil war ensues and no so-called weapons of mass destruction (WMD) were ever found. I must highlight that people died on both sides. Despite whatever opinion we may have of US troops, 4,488 American soldiers and marines were killed and thousands were left with severe disabilities in the aftermath. Tomas Young, a veteran paralysed by injuries sustained while serving in Iraq and now on the brink of death, wrote a personal and heart breaking letter to George Bush highlighting the horrific realities of the US-led invasion. It is fair to say that Bush and Blair’s war was, in fact, based on a big lie. The constant fear reiterated over and over about Saddam Hussein’s chemical weapons programme being deployed – a public relations strategy used to try and win over support for this illegal and preemptive invasion failed to convince the masses, yet the “coalition of the willing” still went ahead. At the time, we took to the streets all over the UK and marched in thousands chanting “Not in our name Mr Blair,” in the biggest anti-war demonstrations Britain has ever seen. But our prime minister didn’t listen. Our taxpayers’ money was going to be spent on a war we didn’t want. What was the real reason for this war? Was it 9/11 even though Iraq had nothing to do with the twin tower attacks? Evidently American company Halliburton couldn’t wait to get its fingers deeper in the black gold of the Middle East. Or, was Saddam Hussein really a danger to the west and its allies? Saddam Hussein was a hero to some, but a tyrant to others. Who can forget how he persecuted Shia Muslims and more notably, when he gassed thousands of Kurds in Halabja with chemical weapons. Images of dead children from the 1988 massacre should have been enough to try the Ba’ath party leader for war crimes. When I ask Iraqis if their country is better off since foreign troops touched the ground, opinions are varied. But a vast proportion agree that Iraq is now worse than it has ever been. A corrupt puppet in office (Nour al-Maliki), that discriminates against Sunni Muslims, further poverty and sectarian violence at its peak has crumbled the country and proven costly to America, which spent over $800,000 billion so far. For me, one of the most saddening things about Iraq is the post-war effect. Fallujah was at the centre of the US and UK military campaign and now, more than half of the babies conceived after the foreign invasion are born with deformed and missing limbs, brain damage, tumours and heart defects. These innocent children were born into an uncertain country because of Bush and Blair. Iraqi babies will continue to grow up suffering the side effects of depleted uranium weapons used to bomb their towns. What about Tony and George? 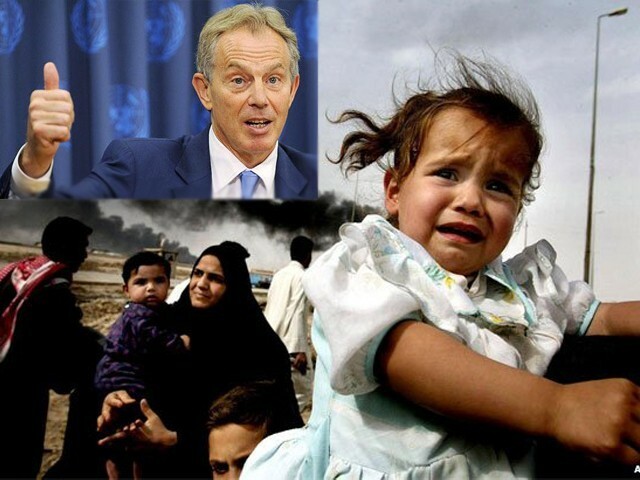 After standing down as prime minister, Tony Blair, for reasons I still cannot understand, was appointed as the UN Middle East peace envoy, which is like pouring salt over a wound. Shipman, who he referred to, was one of the most prolific serial killers in UK history. George Bush, whose idiocy was synonymous to that of a clown while in office now enjoys a “low key” role in charitable organisations, but his past actions will never be forgotten. Ten years on, a BBC correspondent walked calmly through Baghdad’s book market, telling viewers that filming openly would never have been allowed during Saddam Hussein’s time. In this particular news package, a free democracy was portrayed, all of which is not true in my eyes. I see a country ruined because of a pointless war that will take decades to fix. After British and American troops withdrew from Iraq, there was no triumph or victory. What is there to celebrate? During the same BBC interview, Tony Blair suggested that there should also be military intervention in Syria. I kept thinking, doesn’t he have enough Arab blood on his hands? In an ideal world I, like many, would like to see both Blair and Bush tried for war crimes in an international court. This is the only positive thing I can hope for. These lyrics will always be applicable before Iraq and after. 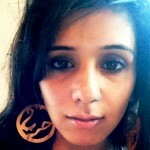 Shafilea's honour killing: Will we ever learn? Since Bush and Blair started their war mongering, the ME and SE Asia has never been the same. They caused havoc with their so called war on terror, first in Iraq, then over to Afghanistan and now it shifted over to Pakistan. Please refrain from name calling such as “Stupid”. I have read the the entire article. If the author wants to condemn US and all allied forces for the atrocities committed in Iraq, then she is completely wrong. I do understand her feelings. I also expressed my anger too. Because the author failed to explicitly condemn Saddam Hussein and shia killings. Post 9/11 security situation warranted war in Iraq, Afghanistan,covert operations in Pakistan and many other places. I am Muslim and I want to live in peace. But there are many extremists who use Islamic edicts and verses from Holy Qur’an to justify terrorists acts. Please try to see things from a balanced perspective. In US where I live, many Muslim showed their displeasure towards me for supporting the war. I am not a war monger er, but at times war is a necessary evil. In many Muslim countries I am considered an infidel because I am a shia and killing me is considered a great act according to some. I am guessing you are living in a free western society, please exercise your right to protest against atrocities. I would humbly request you to examine the Muslim world closely. Maliki was elected by Iraqis in an election that was deemed to be fair and free. You can dispute that and I am willing to accept your credible references. So please don’t call him a puppet because Sunnis don’t like him. If Sunnis are suffering in Iraq then it is their own doing. All act of terrorism in Iraq are carried out by Sunni extremists. Other minorities have been affected by them. They can easily cooperate with the current govt and build a prosperous Iraq. But again they just don’t want to give up their elitist attitudes that they were so used to during Saddam era. They want to continue oppressing Shias. Iraq now belongs to the rightful majority people, who were oppressed by minority for hundreds of years. Like you were angry at BBC, I am also disappointed at your biased writing. I do see some hidden bias towards Shia from you. Falluja was a hotbed for Sunni takfiris. Iraq did not have WMDs, we all knew. Indian Govt had at the time said so, many world powers had also said this. I am more observant why people only concentrate on the injustices of West, India, Israel. I am not saying such issues don’t have their merit, they do. What my point it when was the last time you saw Pakistanis discussing the Uighur Muslims in Xinjiang, China. Or, the Tibet issue, where Tibetan monks are setting themselves on fire in protest of Chinese occupation. The latter will not be discussed(I’ve barely seen news reports mentioning the burning monks) as Pakistan is an Islamic country, they are more concerned with the lives of Muslims. But, you never hear columns(to be fair you do, but only people like Irfan Hussain of Dawn does discuss, but people like him are in minute numbers) about the Chinese persecution of Uighurs in Pakistan. And, Uighurs are Muslims. Why are Pakistanis writing articles about Israel’s treatment of Palestinians, about US/UK’s injustices against Iraqis, but never… ever.. against the Chinese? Uighurs are Muslim too, just like the Iraqis. Does it have to do with the money China gives to Pakistan and all the weapons? Does money and weapons and influence vetoes the feeling of Ummah and Islamic Brotherhood? Uighurs are right next door to Pakistan, just like the poor Kashmiris. I like people who propogate Human rights/peace etc., in this world. I like people who say that we should negotiate and only negotiate against any armed/violent attacks. I like people who said that saddam was bad for some good for some. moral of the above story. America should not have attacked Iraq until Iraq had attacked america. Until then what ever happens in between it should simply keep negotiating, keep talking. America was not intervening ( taking active role ) in WWII until US was bombed. Until then it was only shipping out materials for war. Wrong! You were happy during that time as the extremism was being exported from Pakistan to Afghanistan and India. After 9/11 the Americans came to Afghanistan and the snakes which you nurtured and fed came to Pakistan and started biting you. It hurts now isnt it ? Some people commenting have to pick a fight for the sake of it and always bring irrelevant things to the table. Excellent article. I was at the anti-war demos 10 years ago and we had hope that British democracy wouldn’t let us down but it did. The majority of the public was opposed to the war and Blair didn’t listen to the people. I read that Jack Straw wanted to resign at the time. Blair’s own defence secretary! What does that tell you!? ?